Incorporating visual literacy practices into an English classroom is a standard practice in Australia. In their National curriculum, they begin investigating visual language in the very first years of schooling and continue this practice to the end. A K-12 approach to visual language is an essential skill for our current times. In our own attempts at a national curriculum we have neglected visual communication. 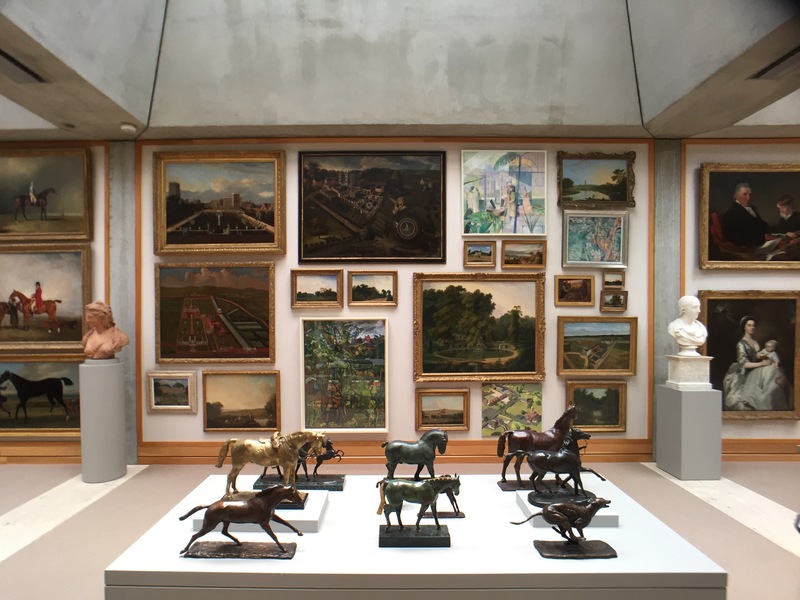 At the Yale Center for British Art, the K-12 program for teachers seeks to foreground visual literacy. The museum becomes a source for experiencing and exploring how visual communicate works. The applications are multifarious. I regularly use drawing and looking in the classroom. I use these activates to foster creative and critical growth. But I also bring students to the museum to see for themselves. Screens, although the dominant frame in our lives are not the only way to view an image. Seeing an image live, in space, is a form of knowing that has its own logic, emotion, and physicality. At the Summer Institute we take time to look. And once stopped, we go even further: and take a closer look. Simply, sitting (or standing) in front of an image and looking. What do I see? And waiting. We so quickly want to say what the painting is about or want to look at the placard (both important details). By slowing down and experiencing the visual design, the visual effect, the act of seeing, we enter into an exchange with the artist, we share the same space. Our visual culture has its roots in our visual history. In a museum, and only here, we are able to stand before an image whose grammar has become dominant. The museum then is a source of seeing how all the made visual world has occurred. In our age of mechanical reproduction we are freed from time and place. Yet, going back to the place and seeing the work in space and in time, provides an opportunity for creative and critical insight. We see in and we are seen and the light in our space is the light in the canvas. From here we can converse, draw, think, feel and move happily towards further seeing.